Since its inception, the Nepal Food Security Monitoring System (NeKSAP) has been regularly conducting household level food security monitoring surveys coupled with the assessment of markets to understand the overall food security situation of the country with special focus on the areas identified as food insecure by the NeKSAP. The findings from the survey are incorporated into the food security bulletins produced by the NeKSAP. 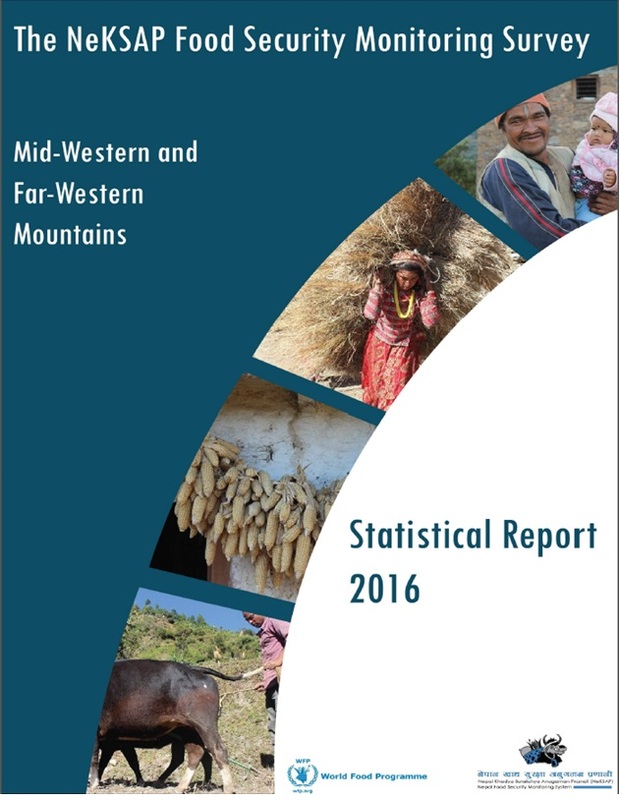 As part of ongoing monitoring of food security situation at the household level, the NeKSAP household survey focusing on midwestern and far-western mountain regions of Nepal was conducted on November 2016 as a joint collaboration between the Ministry of Agriculture Development (MoAD) and the World Food Programme, Nepal. The survey collected information on various topics such as household livelihoods, availability and consumption of food, expenditures, access to markets and other essential services as well as coping strategies.